Wide green meadows, bathed by the River Butrón, invite walkers and visitors to discover the 17th and 18th century farmsteads and working mills, like the one at Lauxarra, nestling in this idyllic landscape. A combination of this fertile land, the temperate climate and the proximity of the sea, favours the cultivation of vines and fruit trees. 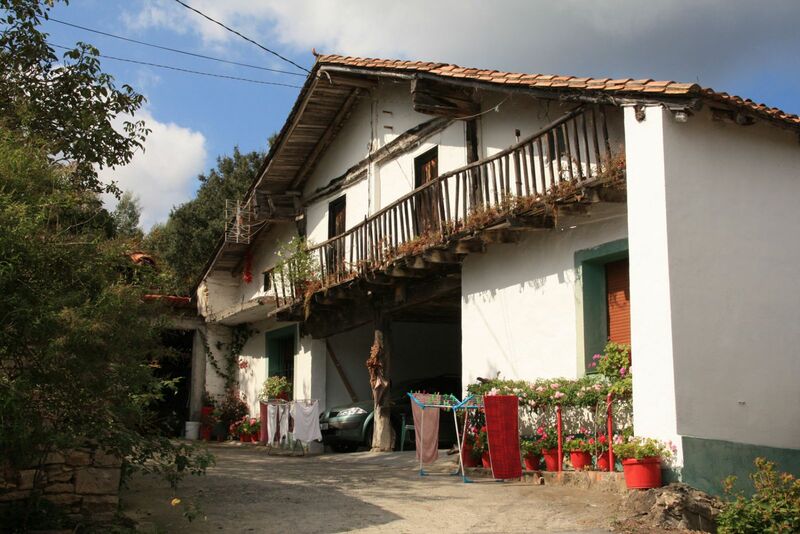 Many of the old farmsteads are still adorned with trellises and vines, and the fruit, cider and txakoli from Gatika are deservedly famous across the agricultural fairs of Biscay. But Gatika boasts one further element which makes it a must to visit and a first class tourist destination: the Castle of Butrón. This is one of the most emblematic monuments in Biscay, located as it is, in a priviledged setting, surrounded by a splendid garden, rich in botanical wonders. This is undoubtedly one of the prettiest picture postcards of the Basque Country.